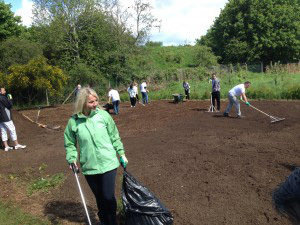 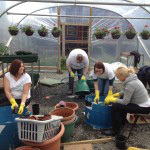 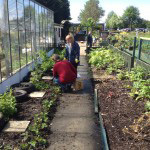 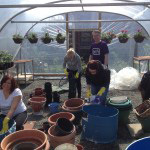 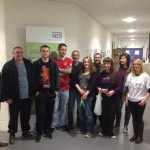 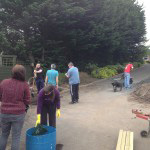 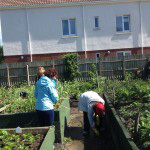 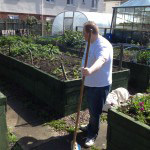 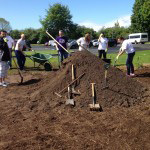 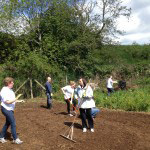 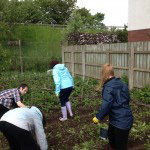 Lloyds Banking Group really did make a difference on Friday 28 May 2015. 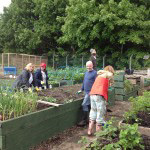 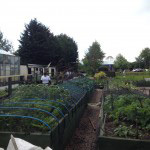 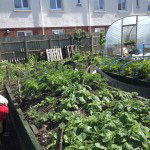 AMH New Horizons Antrim and the Men’s Shed have greatly benefited from the most generous donation of time, effort and hard work that Lloyd’s volunteers gave to assist us with the development of our garden project. 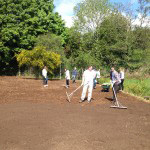 A big thank you to all those involved in the volunteer day, which included tasks such as, moving and spreading 24 tons of soil for our new lawn area, painting a 60 foot fence both sides!, weeding our raised beds and potato plots, washing dozens of donated garden planters to be reused and sold with summer plants, removing litter and brushing pathways. 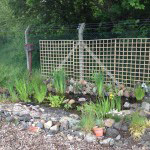 We even had a visitor today in our garden pond! 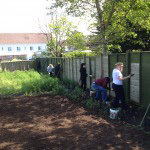 Everyone had great fun and enjoyed this very real challenge! 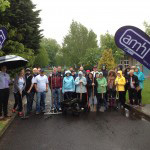 Once again many thanks from the staff and clients from AMH New Horizons Antrim and Men’s Shed.